One of the things that every Massachusetts home owner is required to have when procuring a loan for a property is to have home owners insurance. Most banks and mortgage companies will not give someone a loan unless their home is insured. Most loan documents will also give the bank the option of taking legal action against you if you do not keep your home insured. Keep in mind that the lender is not allowed to require you to insure the property for anymore than the replacement cost of the dwelling. If you are paying cash for a property there is no law requiring you to have insurance coverage although it would be silly not too. After all a persons home is usually one of the biggest assets you will own. Murphy’s Law of course says that without insurance disaster may strike at any moment! So what are the steps you can take to save money on your Massachusetts home owners insurance? One of the better ways to save on your insurance premium is to bundle your insurance coverage with other things you may have insured such as a car. Almost every insurance company is going to give you a discount for insuring both your home and car together. Since most people typically own a car before a home your 1st stop when thinking about insuring your home should be where you currently get your car insurance protection. Of course there is no guarantee that using this firm would give you the best rate but it is a good place to start. It always makes sense to get multiple quotes so checking with a few insurance companies makes sense. You may find that moving your car insurance to be bundled at another shop makes more fiscal sense. Over insuring a property is a common mistake as well. There are times when the insurance agent will ask how much insurance coverage is needed to insure the value of the property. What you need to remember is that you do not need to insure the value of the land. Sometimes people forget this and include it in the amount insured. A good Realtor should be able to provide you with a pretty accurate figure to back out of the equation. Remember you just want to insure for the replacement cost of the dwelling! Another way to decrease the cost of your policy is to increase the amount of the deductible. Increasing the amount of the deductible often times can translate into a pretty serious difference. A reduction in the premium of 10-20% would not be considered out of line. What you should be looking at is the probability that you will be needing to make some type of claim. Some areas may be more susceptible to some kind of claim than others. Lastly, there are many insurance companies that will give you discounts for certain amenities in the home such as a security system, fire alarms, carbon monoxide detectors, special security locks or some other type of “disaster proofing” like storm shutters. There are other potential areas that you could save on the cost of your policy including if you are a non-smoker, if the home is newer, if you are a long time customer of the insurance firm or if you and your spouse are retired. All of these things could potentially allow you to receive a credit and are certainly worth asking about. Saving money on your insurance policy is great but taking care of your home is even more important for so many financial reasons. In fact when you are closing on a property in Massachusetts you will often here the closing attorney give a speech about what you need to do as a home owner. One of these things of course is to keep the property insured and not to do anything that would decrease the value. The last thing you want is to have your insurance policy canceled! Non payment of the insurance premium. A conviction of a crime which increases hazard under the policy. Creating physical changes in the property making the property uninsured. A determination by the commissioner that continuing the policy would violate or place the insurer in violation of the law. Prior to an insurance company canceling your policy they are required to provide you with sufficient written notice of cancellation, except in the case of nonpayment of a premium when the insurer is to provide at least ten days written notice. Once an insurance policy is in effect, under Massachusetts law (M.G.L. c. 175, §193P), a home insurance company can refuse to renew coverage at the end of the term of the contract which is typically for a year, provided that at least forty-five days prior to policy expiration, it gives the insured written notice of non renewal with a statement of the reasons why the policy will not be continued. Insurance companies are not going take money out of their own pockets unless you do something stupid! Follow the law, pay your bills and keep your home in good standing and you will be all set. About the author: The above Real Estate information on Massachusetts home owners insurance savings tips was provided by Bill Gassett, a Nationally recognized leader in his field. Bill can be reached via email at billgassett@remaxexec.com or by phone at 508-435-5356. Bill has helped people move in and out of many Metrowest towns for the last 24+ Years. I service the following towns in Metrowest MA: Hopkinton, Milford, Southboro, Westboro, Ashland, Holliston, Mendon, Hopedale, Medway, Franklin, Framingham, Upton, Grafton, Northbridge, Shrewsbury, Northboro, Bellingham, Uxbridge, and Douglas. Next post Should I Move or Improve My Massachusetts Home? 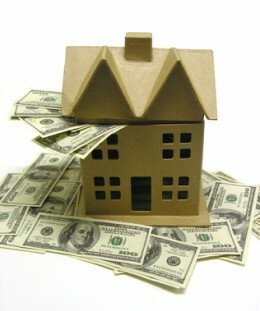 Great article on saving money with your home insurance policy. Thanks for the great tips Bill. BUNDLE YOUR INSURANCE & SAVE YOUR MONEY on both Home & Auto Insurance–great tip! Another little tidbit of information. We recently completed a repair to a home where the rain water gutter located at the fascia on the rear of the house had clogged. This caused water to collect in that area, and water when it sits always finds a way in; over time the rotted out the roof rafters. The home owner filed a claim with her home owner’s insurance company (State Farm). State Farm refused the claim on the basis that the cause was a lack of maintenance. Well this lady was over eighty years old. She certainly was not going to get on a ladder to clean her rain water gutter…no matter. 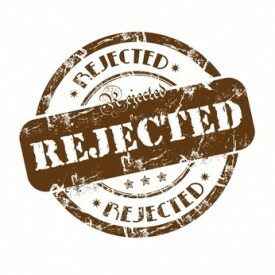 If you fail to maintain, chances are your claim will be denied.